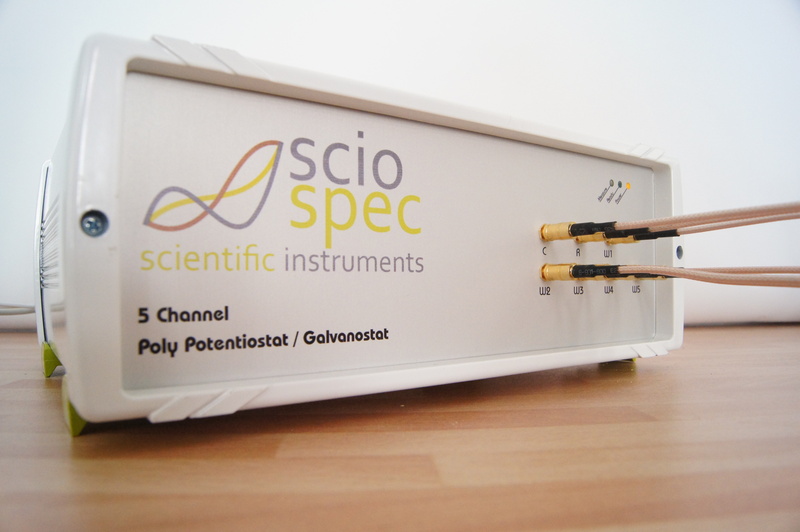 Very high resolution ...brings together 24bit resolution with high channel count and impedance spectroscopy from mHz...MHz. 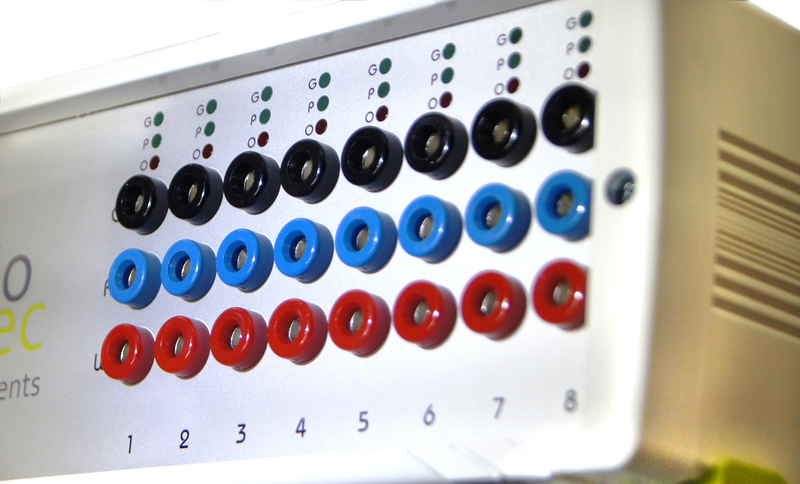 Each module is an eight channel multipotentiostat with independantly controlled channels. 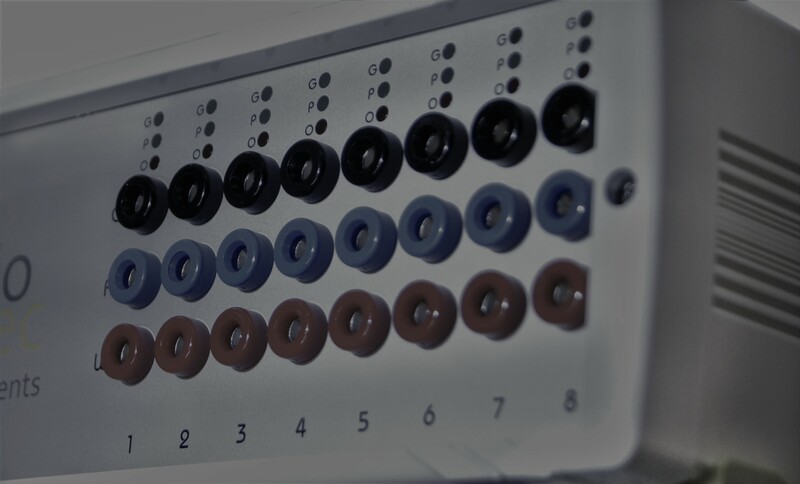 Combine up to 256 modules giving a total of 2048 channels in one system with fully independant setup capabilities of each module. 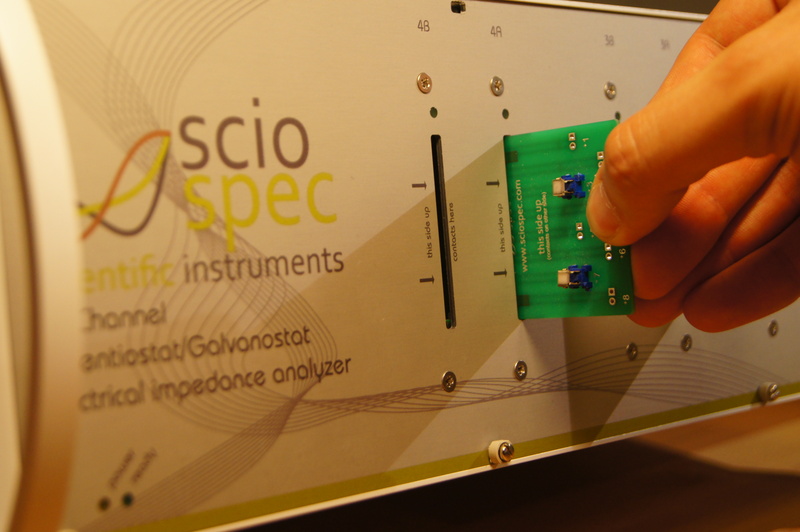 We are not a typical lab instrument manufacturer. 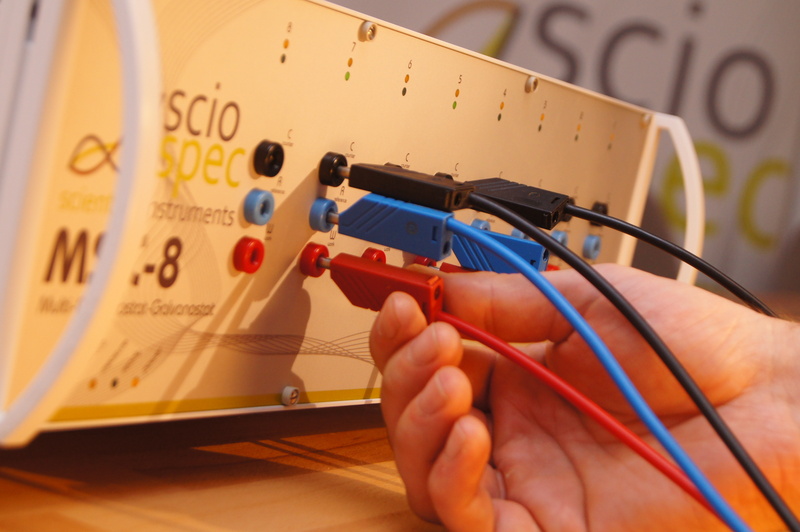 With Sciospec it´s all about the technology platform underneath the instruments. 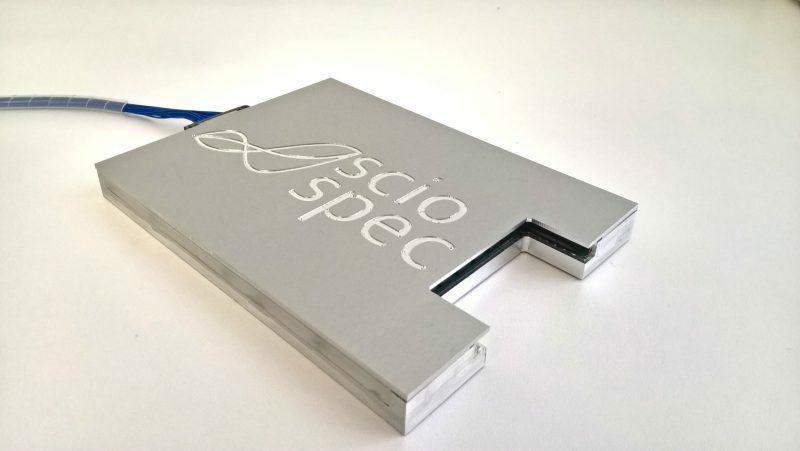 Everything you see in our product portfolio can be customized to your needs, scaled up as further than you thought possible, migrated from lab to field use systems and combined freely with everything else we have in the platform. Our broad range of standard instruments and modules covers all types of application scenarios for research and development as well as industrial applications. This is a key element in our technology plattform. So whether you need a single channel or several thousand of them - we can do it. We give you an easy path to migrate from the lab to custom solutions for the field, the fab or whereever you want to take your application. Need our tech for your product? 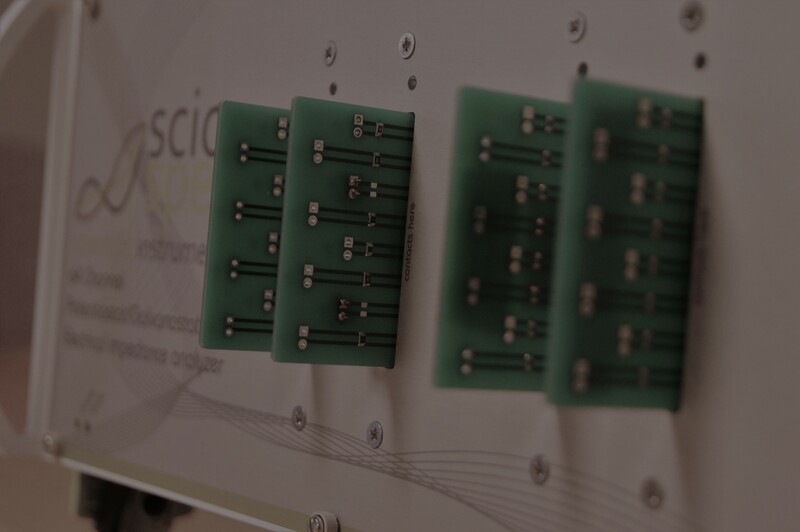 From just putting a standard module in your product to co-developing a brand new solution...we love doing OEM solutions. Scalability is a key element, embedded at the heart of our technolog plattform. 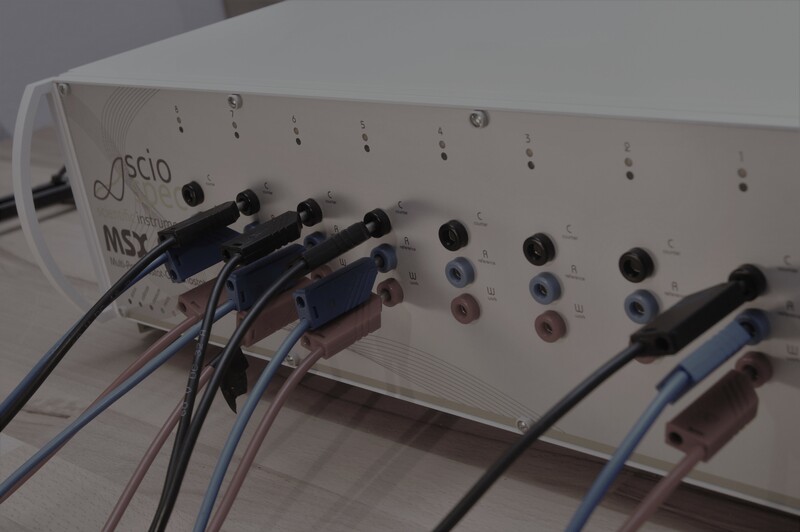 Whether you need a single channel in a tiny mobile use form factor our thousands of channels in parallel in an automated test environment - we´ve got you covered.